You’re a genius scientist and you realize that what you know could cause the end of humankind as we know it. Your answer? Take out parts of your brain and destroy them so that the knowledge is irretrievable. Unfortunately, your partner decides to place those pieces of your brain into other people because he thinks that knowledge shouldn’t be lost. All of them end up nuts and have to live in a mental institute. Until a shape-shifter comes and cuts out the pieces, thereby returning said individuals to their original mental state. 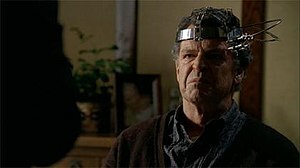 In the fantastic sci-fi show Fringe, this is how Dr. Walter Bishop went from über brilliant scientist to rambling, weird, brilliant scientist. He was lobotomized. On purpose. His idea. In the episode Grey Matters (season 2) we find out that Dr. Bishop asked his friend and partner William Bell to take the brain tissue from his Hippocampus so that he wouldn’t remember how to cross over to the other universe. 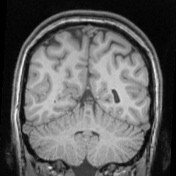 Bell, however, chose to keep the brain tissue. The real issues are the following: is partial brain transplantation possible? Is it ethical? Is it the wave of the future? Well first off, from research I’ve seen to date, a partial brain transplantation is actually possible. Back in 1982, Dr. Dorothy T. Krieger, chief of endocrinology at Mount Sinai Medical Center in New York City actually took part of a brain from one mouse and successfully transplanted it into another. The experiment was conducted using mice who were genetically modified to have a specific piece absent in their brains. This piece, was then taken from another mouse, “dropped in” to the former mouse and Eureka, we have a partial transplant. But the question really is, can this be done on humans? Some scientists say no. There are way too many nerve fibers that would need to be connected for a full brain transplant. Not to mention the brain would need to be connected to the spinal cord and that’s risky on a good day. However, there are scientists who believe that some time in the future, we’ll actually find a way to do it. If we could, why would we? Possibly to take the brain from a quadriplegic and put it into the body of a brain dead person with a healthy body. Would the personality be changed? Very possibly because of the new connections and a new body. However, if you think that taking your brain and putting it in a younger body will allow you to live forever, forget it. The brain, like our bodies, ages with time. Join me in two weeks when I take you to another of the coolest characters in the Fringe universe.